Vermont isn't quite a melting pot, but its cultural and ethnic profile has significantly broadened in recent decades, particularly in the Burlington area. The efforts of the Vermont Refugee Resettlement Program have ensured that the state is no longer just a reflection of its license plates: green and white. Many of the refugees, or so-called New Americans, hail from places that are utterly unlike Vermont, and not just with regard to weather and terrain. A new resident might at first be flummoxed by Vermont's cold and snow, but the more challenging obstacles to assimilation are linguistic, social and cultural. Film director Mira Niagolova crafted her documentary Welcome to Vermont: Four Stories of Resettled Identity from a quartet of vignettes, each of which focuses on former residents of Rwanda, Bosnia, Iraq or Somalia. Though that list of nations could hardly be more diverse, their former citizens' stories have, as Welcome to Vermont shows, a great deal in common. "It was so universal: the sense of displacement, the sense of dislocation," says Niagolova in a recent conversation with Seven Days. "But," she adds, "we are all, in a way, dislocated individuals. [In making this film,] I started understanding more what it meant to be American, and I started liking it more." Niagolova, who also teaches filmmaking classes at Champlain College, is herself a relatively new arrival to the U.S. Originally from Bulgaria, she moved to Montréal in the early 1990s to work with the National Film Board of Canada. She came to Vermont in 2000, and for six years was the executive director of the Vermont International Film Festival. The film has been a long time coming, and Niagolova seems both pleased and relieved to have seen it through. She's been working on Welcome to Vermont since 2009 (it has screened, in various degrees of completion, at both VTIFF and the Green Mountain Film Festival), though it didn't start as a stand-alone piece. The film had its genesis as a section of Freedom & Unity: The Vermont Movie, Nora Jacobson's nine-hour, multi-director documentary. Niagolova's section concerned refugees in Vermont, and she found the topic so compelling as to merit further exploration. "My idea from the very beginning," she says, "was to show several refugees from different backgrounds, different demographics and ages, and see how their adaptations differed from one another. They're not this homogeneous 'other.' For me, it was important to give nuances, because nuance is what cultures are, and nuances are what refugees need the most help with." A truly independent project, Welcome to Vermont was produced, written, directed, co-shot and coedited by Niagolova. Her next step is to arrange for its distribution — no easy task for an educational doc in a tough exhibition market. But Niagolova intends to put in the time required to show the film more widely, even if that means self-distribution. She'll screen it a few times during an upcoming trip to Europe, and in Canada in the fall. Niagolova remains in touch with many of her film's subjects; in fact, she's one of them. In a brief prologue, the director pores over the works of Aleksandr Solzhenitsyn, the Russian novelist and political activist who moved to Cavendish, Vt., after his 1974 exile from Russia. Though she considered interweaving the film's four stories, Niagolova ultimately decided on a more straightforward, four-part structure, in which each story maintains its own integrity. This lends itself more readily to the classroom discussions for which the film is partly intended. Many screenings of the film precede panel discussions on the subjects of immigration and resettlement; sometimes the film's subjects take part. The next public screening in Vermont is at Vermont Technical College this Friday, May 2, as part of the daylong New Neighbors Project workshop conducted by the Vermont Folklife Center. The Middlebury-based organization is devoted to the recognition and preservation of the traditions of Vermonters of all stripes, and has supported Welcome to Vermont in other ways. In collaboration with VFC, Niagolova has developed a study guide to accompany the film; it's available in print and embedded on the DVD release. Greg Sharrow, codirector and director of education at VFC, says, "The simplest way to talk about our objective is aiding people in becoming visible to one another." In this regard, Niagolova's film was in sync with the center's goals. He adds, "[Welcome to Vermont] is personal, intimate and all about the bottom-line deal for us, which is our common humanity." The doc does indeed portray new Vermonters in a humanistic light, as they find room for old customs in new settings. Niagolova explores, in a nondidactic manner, such issues as linguistic difficulties in the workplace and the different rates of assimilation within families' multiple generations. The film's standout segment may be its final one, which focuses on photographer Jean Luc Dushime, whose relocation to Vermont was an indirect result of the ethnic violence in Rwanda in the 1990s. Dushime is pleased with how he and his story are represented in the film, even as he acknowledges that it's "an incomplete picture." He finds that the term "refugee" carries negative connotations; nor is he content with "New American," since, by now, he's been in Vermont for 10 years. 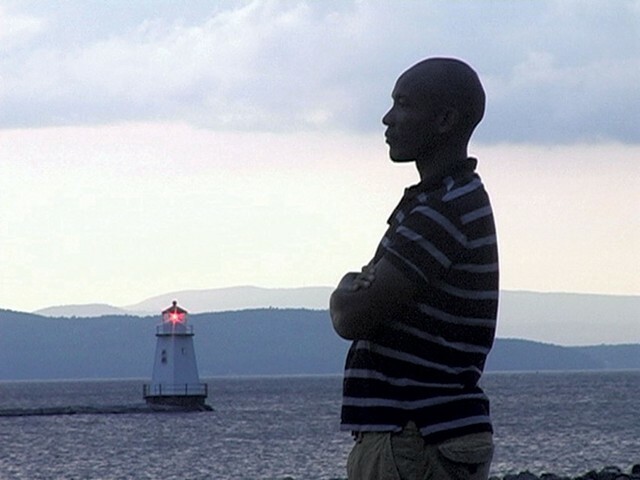 The film ends with Dushime moving to California; he has since returned to Vermont. Why did he come back? "I needed to take off to choose to come back," he explains. "I never really asked to come to Vermont ... It's a very nice thing to have the capacity to choose to leave somewhere. It's something I'd never really experienced." Such complex realities of "relocated identity" are ultimately what Welcome to Vermont is about. Says Niagolova, "It's not a film about politics. It's not a scholarly work. It's a film made for ordinary people with the hope that they will dig deeper ... and understand better. I wanted to show human stories."